The Torch Run is the single largest year-round fundraising vehicle benefiting Special Olympics Illinois. The annual intrastate relay and its various fundraising projects have two goals: to raise money and to gain awareness for the athletes who participate in Special Olympics Illinois. Each year, officers in Illinois run more than 1,500 miles carrying the “Flame of Hope” through the streets of their hometowns and deliver it to the State Summer Games in Normal in June. On Friday, June 13, legs of the run from all over the state will converge on Normal. That evening at dusk, in a dramatic moment during Opening Ceremonies of the Special Olympics Illinois State Summer Games, officers from every leg of the Torch Run will enter Illinois State University’s Hancock Stadium with torches lit and hand off the “Flame of Hope” to Special Olympics athletes. When the cauldron is lit and the games declared open, more than 4,000 athletes will continue three days of competition and celebration. When it began in 1986, the Law Enforcement Torch Run® raised $14,000 in Illinois. It has since grown into the largest fundraising vehicle for Special Olympics Illinois, raising nearly $31 million since 1986. The Illinois Law Enforcement Torch Run® raised more than $3.3 million in 2013, making it one of the top grossing programs in the world. Presenting Sponsors are Dunkin’ Donuts and Shop ’n Save; Gold Medal Sponsors are Illinois Knights of Columbus and Blue Cross Blue Shield of Illinois; Silver Medal Sponsors are Chicago Blackhawks and Texas Roadhouse; and Bronze Medal Sponsors are Illinois Association of Chiefs of Police, Illinois Sheriffs’ Association, Kane County Chiefs of Police Association, CARQUEST, Coca-Cola and US Foods. In addition to receiving donations that support their run, officers raise funds in various ways throughout the year, including Polar Plunges, a Cop on Rooftop event with Dunkin’ Donuts, Plane Pull at O’Hare International Airport, Truck Convoy, raffles, bike rides, golf tournaments, and more. 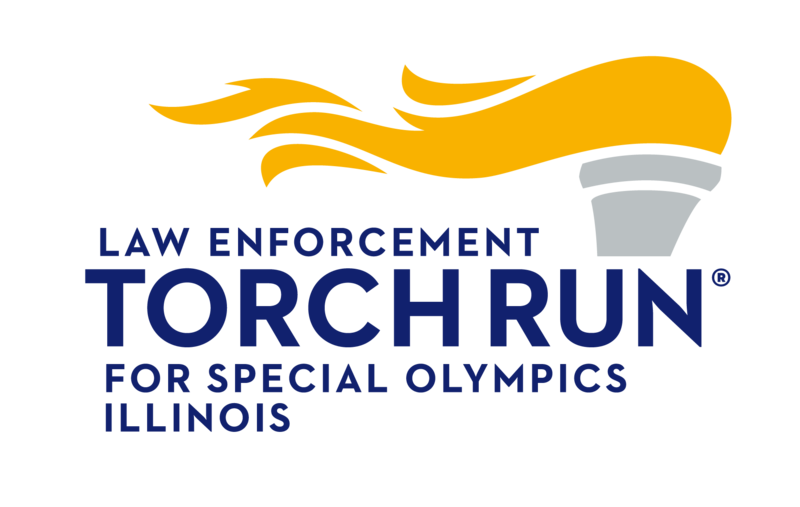 To get involved in Law Enforcement Torch Run® activities in your area, call Matt Johnson at Special Olympics Illinois (1-800-394-0562), email him at mjohnson@soill.org or contact your local law enforcement agency. Special Olympics Illinois is a not-for-profit organization offering year-round training and competition in 19 sports for nearly 21,500 athletes with intellectual disabilities and more than 18,500 Young Athletes ages 2-7 with and without intellectual disabilities. Special Olympics tranforms lives by empowering people with intellectual disabilities to realize their full potential in sports and in life. Special Olympics programs enhance physical fitness, motor skills, self-confidence, social skills and encourage family and community support. If you are interested in learning more about Special Olympics Illinois, volunteering or providing financial support to help make Special Olympics programs possible, contact your local Special Olympics agency, call 800-394-0562 or visit our website at www.soill.org.